The Lancaster City Council met for its Regular Meeting on Wednesday, November 8, 2017, at 7:00 p.m. in the City Hall Meeting Room. The following members were present: Olson; Sebenaler, Bowlin and Hilman and Nordin. Nordin moved to approve the Council minutes of the October 8, 2017 regular meeting second by Bowlin and carried. A copy of the Minutes will be posted at the Lancaster City Hall and U.S. Post Office and available upon request to the clerk. The council reviewed the November 2017 bills presented this night; any other bills that have been paid prior to this meeting to avoid late payments, receive discounts & meet payroll and all payroll expenses as approved in the 2017 Rates Fees & Appointments Schedule. Sebenaler moved to approve the bills, second by Nordin and carried unanimously. An abstract of bills will be posted with the minutes and are available upon request to the clerk. Council discussed the issue of bidding out the city fire and liability insurance, no action was taken. Council discussed the 2018 water and sewer rates and did not recommend any changes to be proposed at this time. 7:15 PM review of the Fair Housing Ordinance was convened no public was present. Hilman moved to adopt the Fair Housing Ordinance, second by Bowlin and carried. Blue Cross Blue Shield notified the city that they employee health insurance rate for 2018 will be increasing by $47.40 per month to $487.48 per month. The city currently pays $375.00 per month with employees paying the balance. Hilman moved to increase the amount paid by the city to $400.00 per month with the remaining increase to be paid by the employee, second by Bowlin and carried. 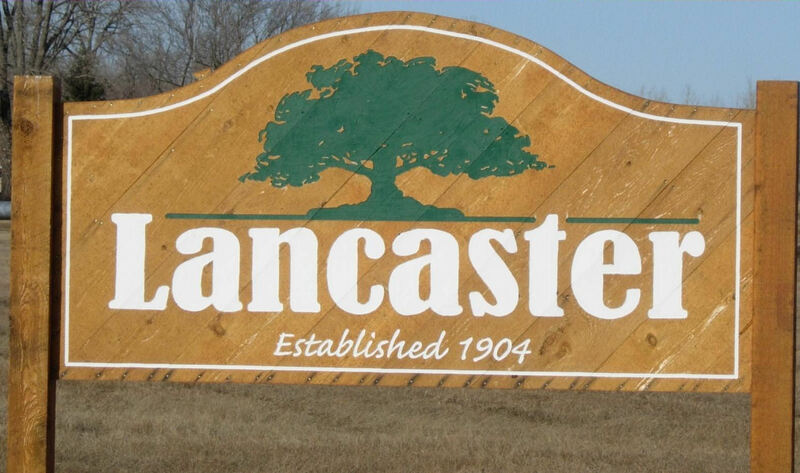 George Zondagh and Connie Steen met with the council to request purchasing Lots 3 and 4, Block 13 in Original City of Lancaster. They would like to build a storage building on the property for the business equipment. Sebenaler moved to sell the lots to Zondagh and Steen for $500.00 the city will not provide an updated abstract with purchasers to pay all attorney fees, second by Nordin and carried. Council received a copy of the finalized 2018 payroll step system form for their information. Council discussed the sewer lines on 1st street. Sebenaler will have sewer inspection team run a camera through the lines prior to the proposed overlay of 1st Street to make sure of their condition. Sebenaler recommends if the lines have no breaks that the city use the internal relining sleeve repair method at a future date. Council also reviewed Council reviewed the October 2017 City and Liquor Store financial information. Covenant Church would like to use the Community Center and patio for a Christmas Nativity on December 17th, there were no objections. Council discussed the reduction of port hours and the correspondence sent to U.S. Customs and legislators by the Mayor and Clerk. As there was no further business the council adjourned.